And the rest from Home Depot. Amazon shipment arrived. 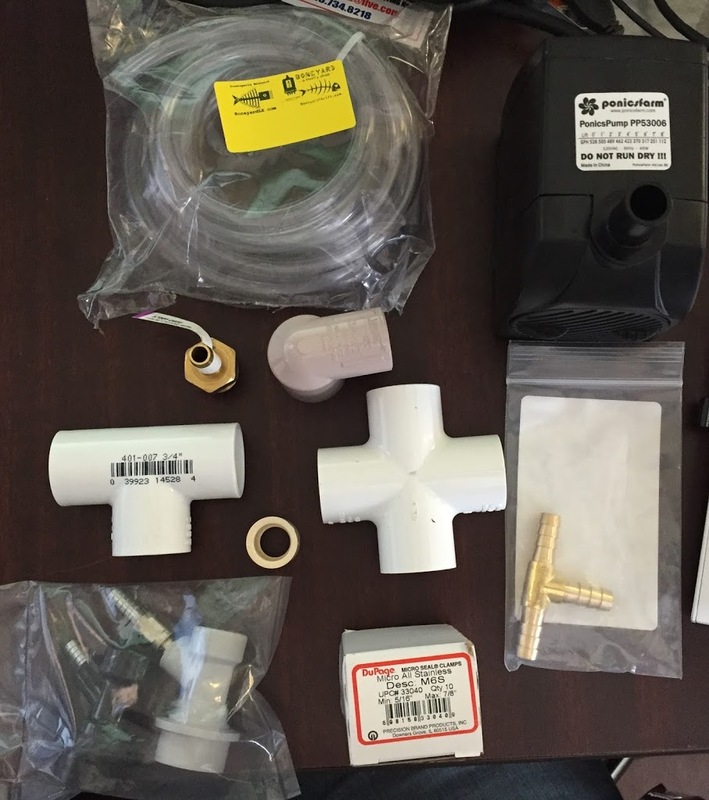 I bought 10′ of tubing so I can use the leftovers in other projects. 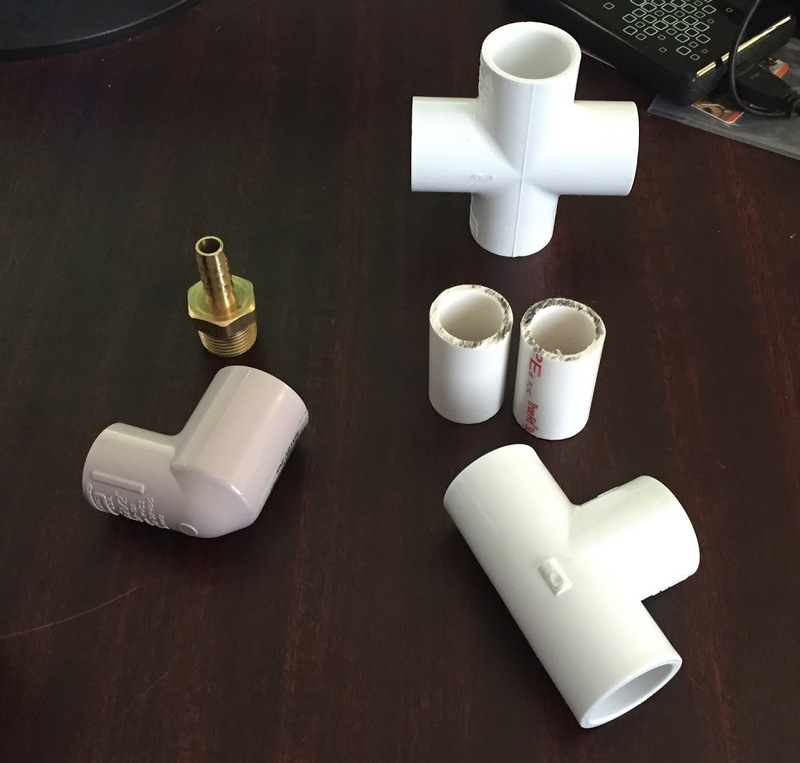 I cut two 1-5/8″ and one 13/16″ pieces from the 3/4″ PVC. 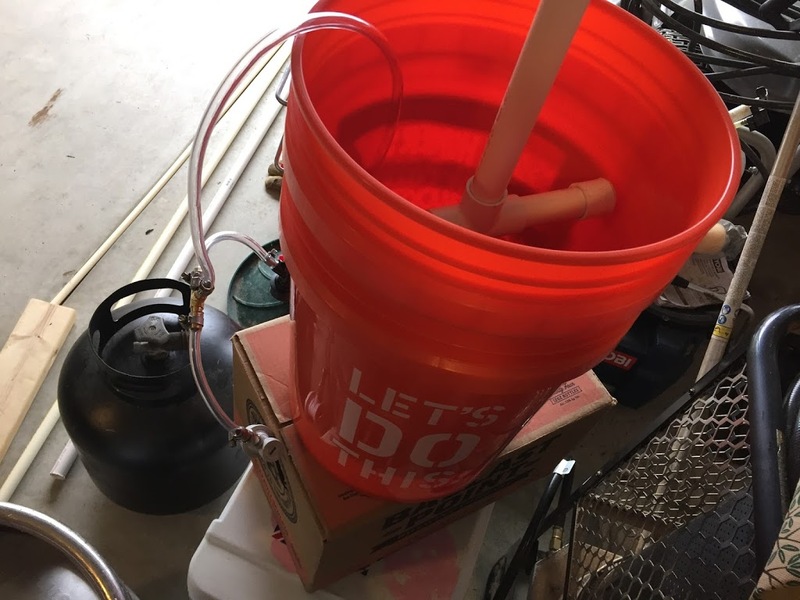 If you will also use this to clean carboys, read the note at the bottom of this post PRIOR to cementing any pieces together. 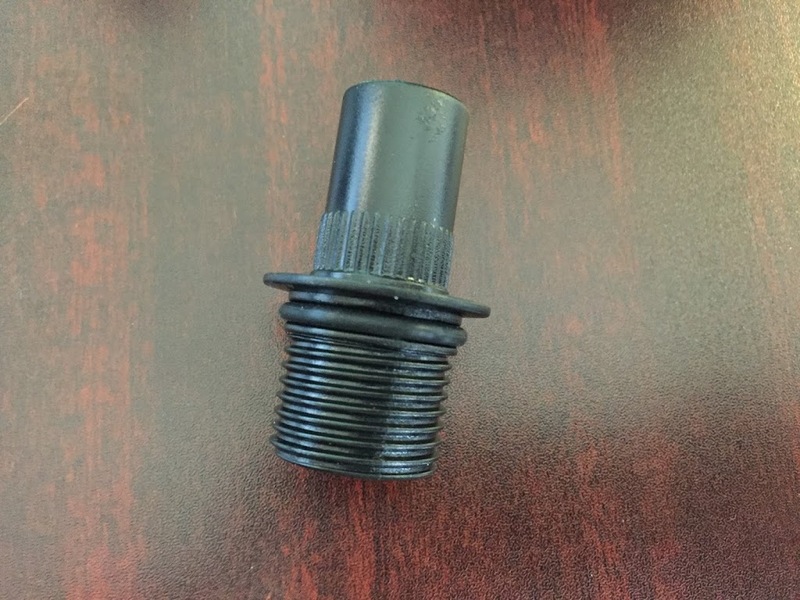 I then had to use my 7/8″ step bit to drill out the 13/16″ length so that the 1/2″ – 3/4″ bushing would fit snugly inside. I used the side of my hammer to make the ends flush. I then placed this into one end of my Tee, again making it all flush. 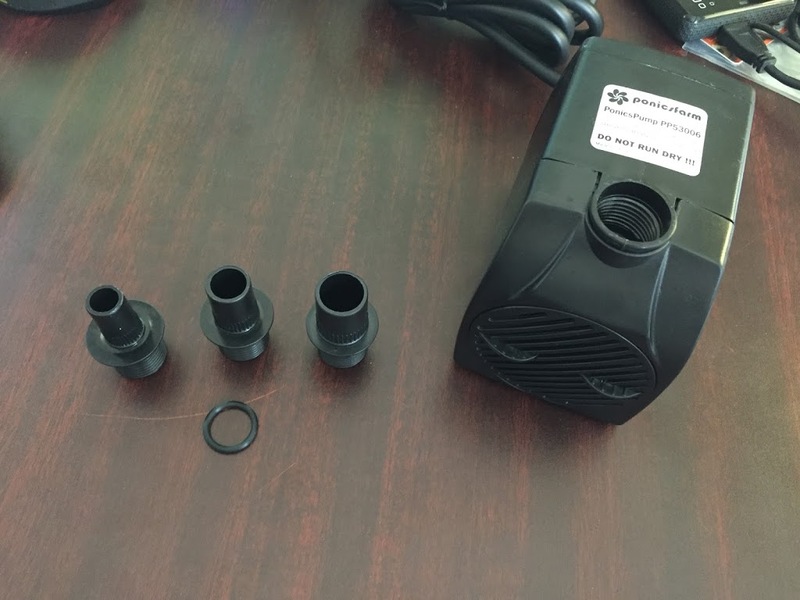 This is the side that will connect to the pump. Tape the threads of the 3/8″ barb and use a crescent wrench to tighten into place. Next cut two lengths of 3-1/8″. Check fit in bucket. Cement into Cross and cement the endcaps on. 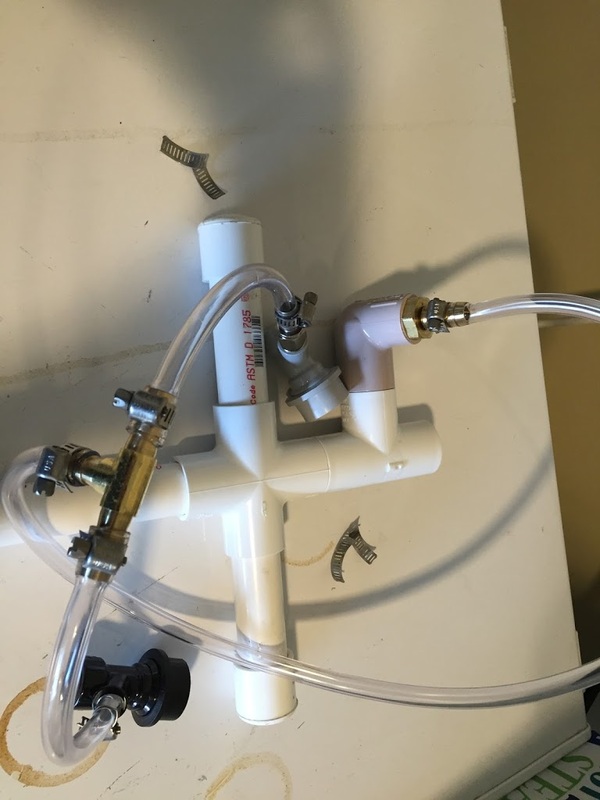 This assembly will keep the keg washing tube centered in the bucket and will also give the inverted keg something onto which it can be rested. 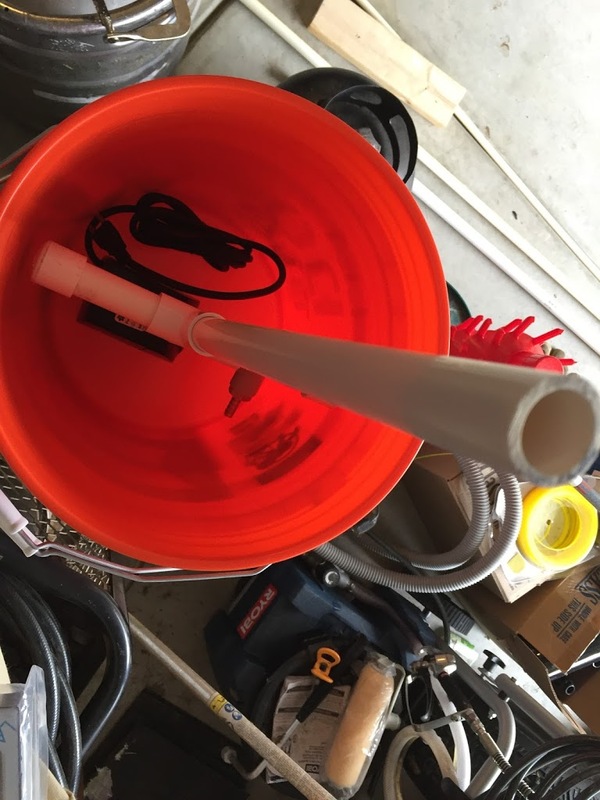 Next, add a 16″ length of PVC. This is the keg washing tube. I did not cement this into place. When the washer is not in use, I can remove this tube and just place it loosely in the bucket, keeping everything self-contained. Doing it this way will even allow you to put a lid on the bucket. Onto the next part. 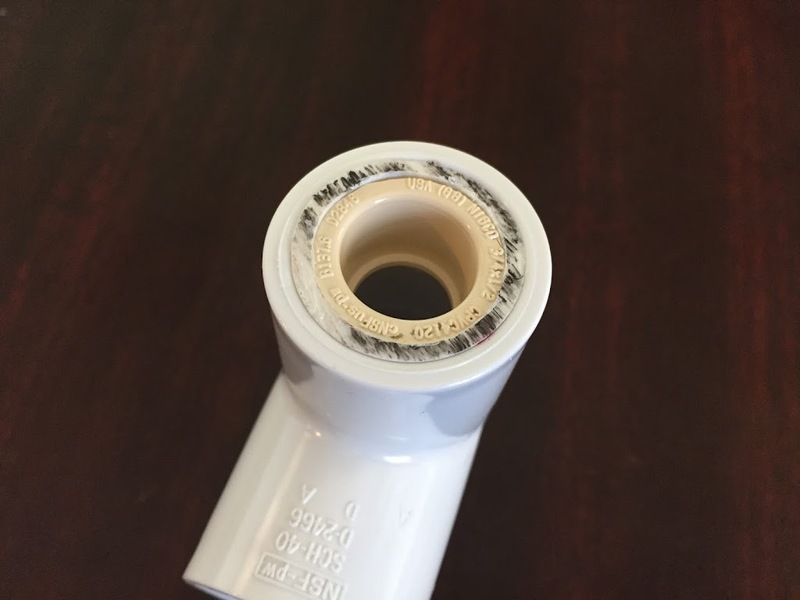 I am attaching Ball Lock connectors to be able to clean the posts, tubes, rings, etc. I cut one length of 3/8″ Beer Line to 28″. I then cut two 6-1/2″ lengths. The use of a heat gun will make your life a lot easier here. Heat the end of the 28″ length and carefully slide it on to the 3/8″ barb that screwed into the 90 degree elbow. Slide two worm clamps onto the hose and then heat the other end and carefully slide it on to the downward section of the 3/8″ Tee. Once that is done, connect the 6-1/2″ lengths to the sides of the Tee and then slip the worm clamps on. Next add the ball lock connectors. Tighten the worm clamps. Your assembly should look similar to the one below. The next thing I did was to trim the excess “tail” from each worm clamp. The whole assembly placed in the bucket. 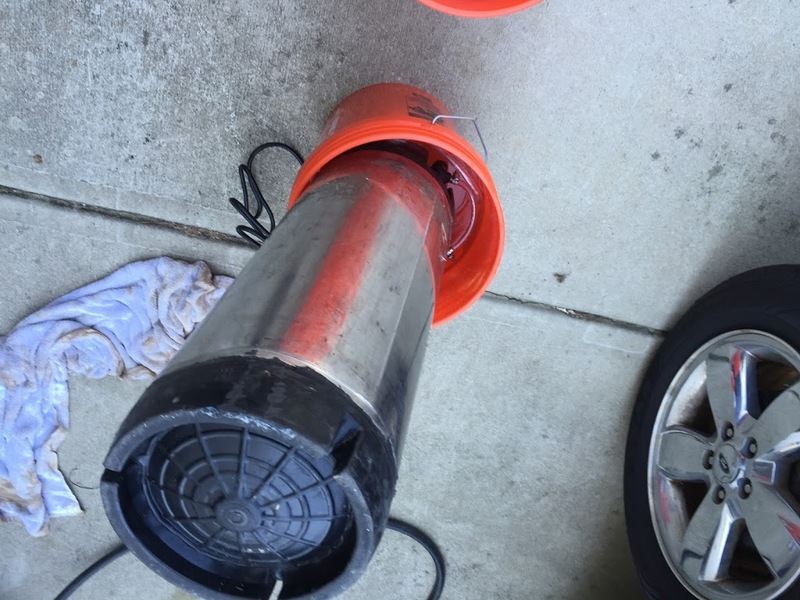 The 28″ length gives me enough hose to connect the keg posts prior to placing the keg on the washer. For those keeping track, I have used 41″ of the 10′ Beer Line in this project. This gives me 6′ 7″ to use in other projects. I also have 4 worm clamps remaining. Invert the keg onto the cleaner and turn it on. That’s it. Notice that we need two buckets for this. You could get away with one, especially if you are only going to wash a single keg at a time. One bucket is for the wash, the other is the rinse bucket. Fifteen minutes of a PBW wash followed by thirty seconds of a clean water rinse and you are ready to use the keg again! Spray the entire inside with Star San, Fill and Enjoy! In this video, the water level is just above the pump. As you can see there is plenty of power in the water coming out of the keg washing tube. This will lead to a significant savings over time in PBW. Instead of 5-6 gallons per wash day, 2 gallons will get the job done. 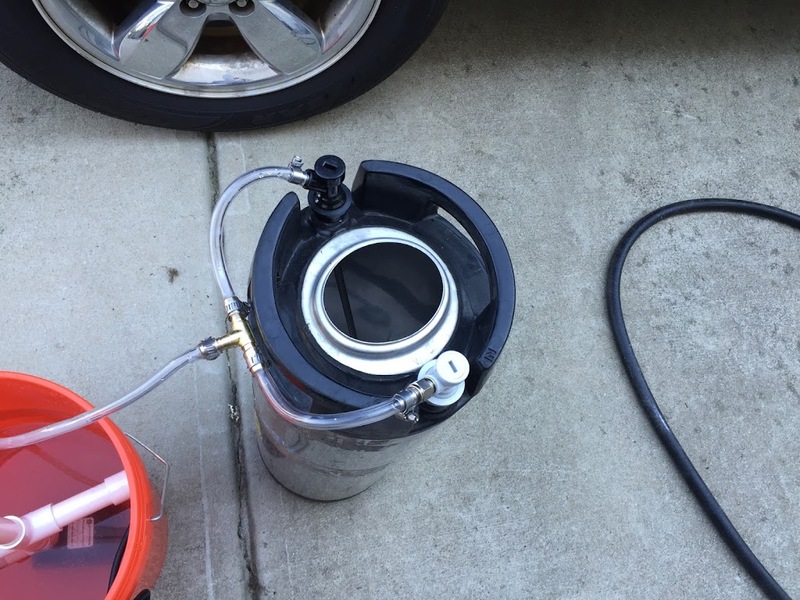 If you wash your kegs on brew day, then you can use the run-off water from your chiller to fill your buckets. I am in no way suggesting that this bit of savings is enough to justify the cost of the keg washer. The ease of cleaning and the time saved are the motivating factors behind this build. 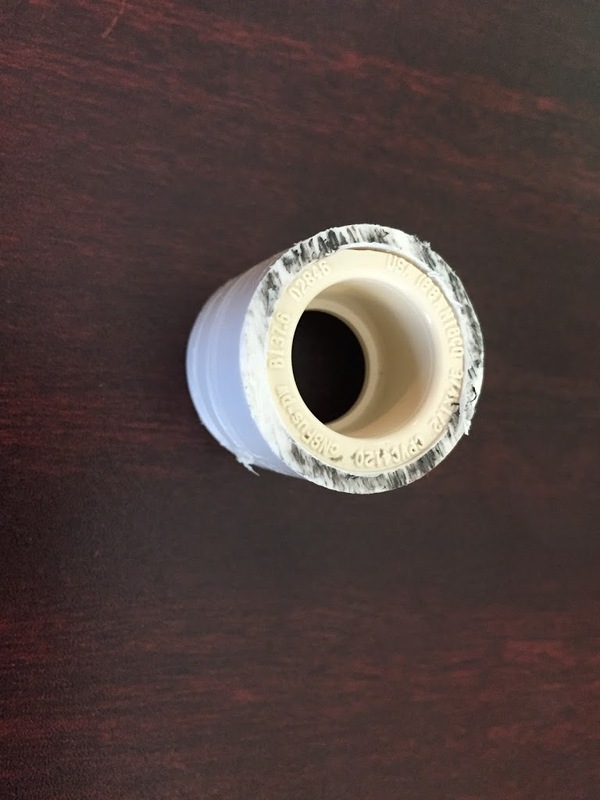 To use this washer to also clean carboys, you need a bucket lid, 1/2″ PVC and another 3/4″ Spigot x 1/2″ Slip bushing. 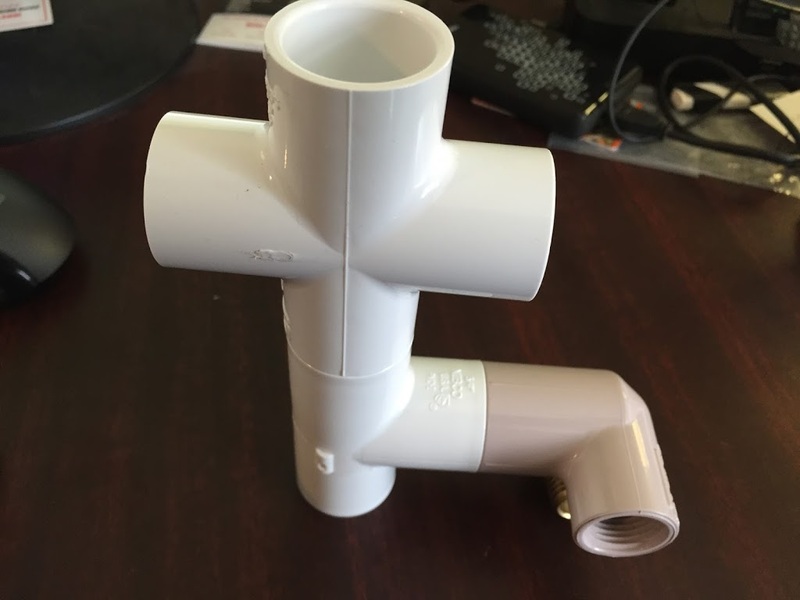 Replicate the picture below at the top of the cross and use a 16″ length of 1/2″ PVC. Cut a 6″ hole in the center of the lid and you can set the inverted carboy on the lid to clean it. 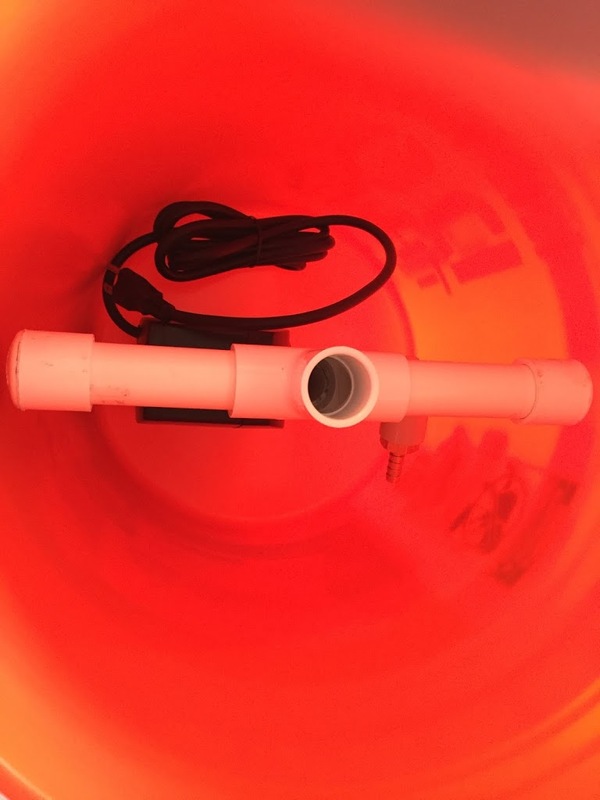 The 3/4″ PVC is a tight fit in carboys and will not always allow the cleaning solution or water rinse to drain while in use. 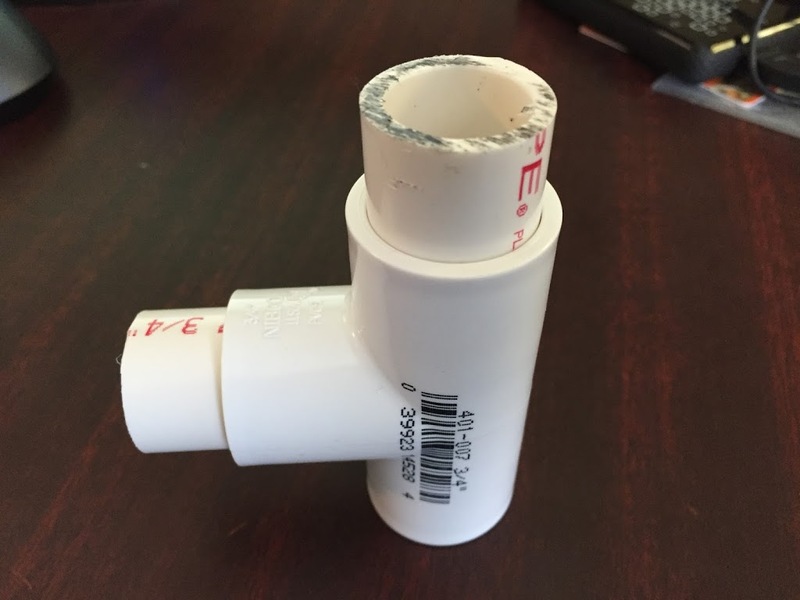 1/2″ PVC fixes this. 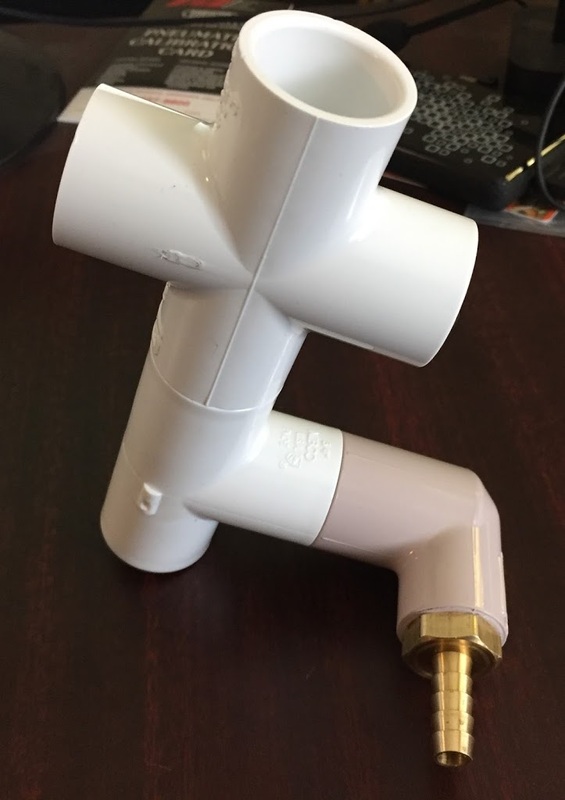 You could make the entire assembly from 1/2″ PVC, but I feel the 3/4″ is more robust and can handle the weight of the kegs better than the 1/2″. Do not cement the 90 degree elbow to the assembly of you will also use this for cleaning carboys. 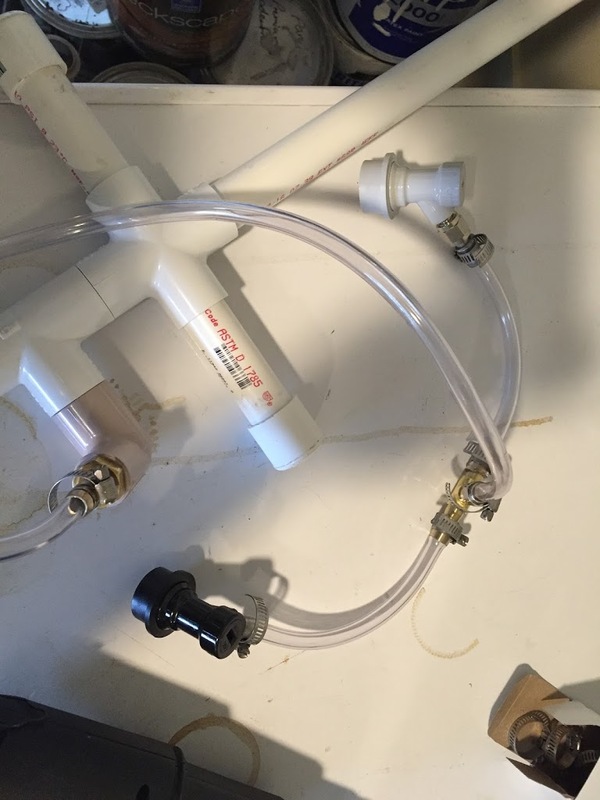 Instead, you can slip off the elbow and add another end cap to bypass the keg connections. Now that you are spending less time cleaning kegs, you can drink more beer! Looks like a great setup! There doesn't have to be a hard ROI on everything we do. The time savings is extremely valuable. Bookmarked to copy later. (HBT/Deprecated). Exactly! I know that we as a community (and I in this blog) focus on keeping costs down. Sometimes saving time is more of a cost savings than saving money.